New Orleans votes to remove Civil War Confederate statues from city. The Robert E. Lee monument in New Orleans in 2008. The New Orleans City Council voted Thursday to remove a handful of monuments to the Confederacy from prominent locations around the city. The 6-to-1 vote to remove the three Civil War-era inspired statues and one obelisk was the culmination of a contentious campaign that began over the summer when New Orleans Mayor Mitch Landrieu called for their removal. “We, the people of New Orleans, have the power and we have the right to correct these historical wrongs,” Landrieu said Thursday before the vote. 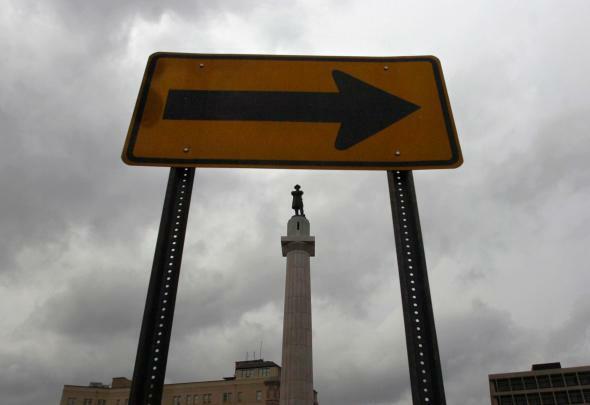 … [A] bronze statue of Gen. Robert E. Lee in a traffic circle, named Lee Circle, in the city’s central business district since 1884, and an obelisk in the French Quarter to recognize the Battle of Liberty Place [will be removed]. The City Council also voted to remove statues of P.G.T. Beauregard, a Confederate general, and Jefferson Davis, the president of the Confederacy.